Both Vijay Iyer and Rudresh Mahanthappa have enjoyed a lot of visibility and accolades over the last few years. Iyer’s Historicity, from 2009, made a lot of critics’ best-of lists for that year. And Mahanthappa struck gold with his partnership with the great Bunky Green on 2010’s Apex. 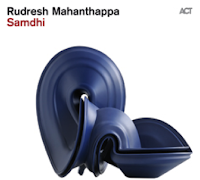 On the discs being reviewed here, both recorded in 2008 but not released until last year, both artists cover terrain that they have explored throughout their careers: namely, offering ambitious attempts to draw liberally from the Indian classical tradition in shaping their distinctive jazz visions. For the most part, they are very successful, and each of these recordings has a lot to offer. Mahanthappa’s release is the most diverse stylistically, as it embodies classical Indian elements but also adds electronics on several tracks, and utilizes rhythms that are often funk and rock-influenced. Indeed, in many respects one could label this a “fusion record,” particularly with the groove-driven work of guitarist David Gilmore, electric bassist Rich Brown, and drummer Damion Reid. However, percussionist Anantha Krishnan continually adds another dimension to the music with his lively playing of the mridangam and kanjira. It’s prominent enough to spur the other players along, while not weighing down the recording or becoming too obtrusive. Mahanthappa’s melodies are strong and intricate throughout, and the rhythmic underpinnings provided by the rest of the group consistently anchor and propel the music forward. This is especially evident on the second track, “Killer,” which offers an aggressive and complex melody but which is really sustained by the fantastic rhythmic foundation provided by Mahanthappa’s associates. Gilmore in particular offers terrific unison and responsive playing with Mahanthappa in establishing the melody, but then later in the tune kicks into crunchy rhythmic support behind Mahanthappa that takes the track to another level altogether. “Playing With Stones” and “Breakfastlunchanddinner” are other examples of the rhythm team providing the bounce and direction needed to keep the songs interesting and cohesive. And it’s worth noting that Mahanthappa’s playing throughout the record is superb: he combines a powerful melodic sensibility in his playing with a hard-edged intensity that allows him to blow the roof off when it’s called for. Admittedly, it’s not a perfect recording. Depending on one’s tastes, Mahanthappa’s use of electronics on a few of the tracks is either invigorating or a distraction. It works in some situations and not in others. It’s most troublesome on the seventh track, “Parakram #2,” which involves what sounds like Mahanthappa overlaying another sax part (or two) on top of his melody line, and which then brings in an awkward funk beat and additional synthesizer parts later in the song, as the whole thing gradually pulls apart. It’s all a bit much, and seems almost gimmicky at times. In addition, the closing tune, “For All the Ladies,” veers perilously close to pop-jazz with a melody that’s a bit too saccharine for my preference. But a couple missteps aside, this is a very enjoyable and engaging record, and it definitely holds up to repeated listenings. 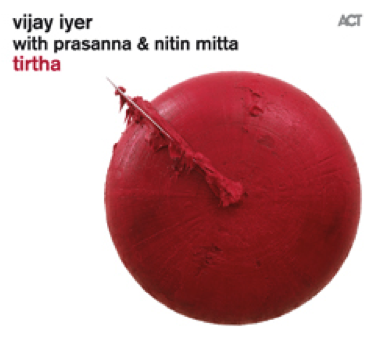 Iyer’s record also has its charms, although it’s somewhat less ambitious in terms of merging disparate musical styles. It’s nevertheless a fine showcase for the range of Iyer’s playing, as well as that of his colleagues, Prasanna (on guitar and voice) and Nitin Mitta (on tabla). In contrast to Mahanthappa’s Samdhi, which is clearly Mahanthappa’s project and features him as the dominant voice in the ensemble, this record feels more like a fully collaborative venture, with all three musicians playing a more or less equal role in the proceedings. This is especially evident on “Tribal Wisdom,” which begins with Prasanna’s Carnatic singing and Iyer’s strong rhythmic pattern in the left hand, with Mitta’s tabla floating on top. From there, Prasanna comes in on guitar, and all three musicians wind their way through a memorable musical journey with each playing a critical role. This is also evident on “Gauntlet,” which though clocking in at just a couple of minutes gives all three musicians a chance to work closely together with a rapid-fire musical pattern being developed equally by Mitta, Prasanna and Iyer. One wishes the track had lasted a bit longer, in fact, as just when it really gets going it abruptly ends. As a pianist, Iyer has always stood out for the percussive sensibility and rhythmic diversity of his playing. We can hear plenty of that in most of these tunes—including “Tribal Wisdom” and “Polytheism,” where Iyer offers consistently imaginative and jaunty phrases in dialogue with Prasanna, who also stands out on this track. Iyer likes to build tension through repeated patterns that gradually evolve and develop in different directions, and this makes his playing particularly engaging and intriguing. The only drawback to the recording is a certain sameness to a few of the tunes, which while pleasant, didn’t do always enough to distinguish themselves or sustain attention. Iyer’s at his best when he’s really working it—with the dynamic, assertive side of his playing coming to the fore. On a few of the tracks, he simply seems too reserved—this was especially noticeable on tracks like “Abundance” and “Falsehood,” where Iyer’s playing was pretty and meditative, but I found myself wanting him to let loose a bit more. All told, these discs represent the kind of cross-cultural vision we’ve come to expect from Iyer and Mahanthappa. Both excel in finding ways to bring the jazz tradition into conversation with Indian classical forms, and the caliber of musicianship is very strong throughout. Both discs are enthusiastically recommended. Thanks for the excellent review, Troy. I just wanted to say how much I'm enjoying the writings of all the new reviewers on the team. Now this site can cover even more of this great music. Thanks for the feedback, Richard. I'm glad to be on board!